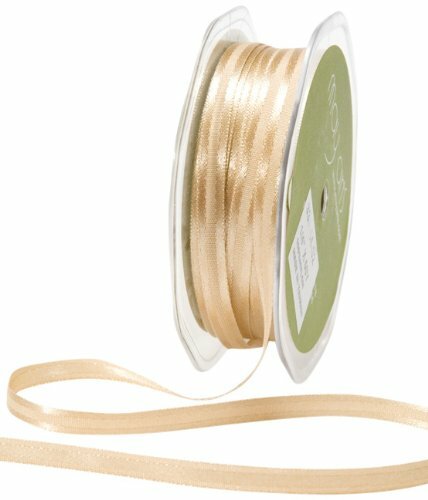 This ¼-inch by 50-yard antique gold ribbon is satin with a center band. It is the perfect embellishment for handmade greeting cards, scrapbook pages, journals and 3D projects. Use it to add interest to gift wrap and bows. Available in a variety of colors.